Works planned: demolition of 19 overpasses; construction of 16 overpasses; refurbishment of the South Rimini ramp and toll booth; creation of 7 new underpasses; about 30 upgrades of underpasses and culverts. 2 variants of the layout drawing are planned. The first also foresees the construction of an artificial tunnel (‘Covignano’, approx. 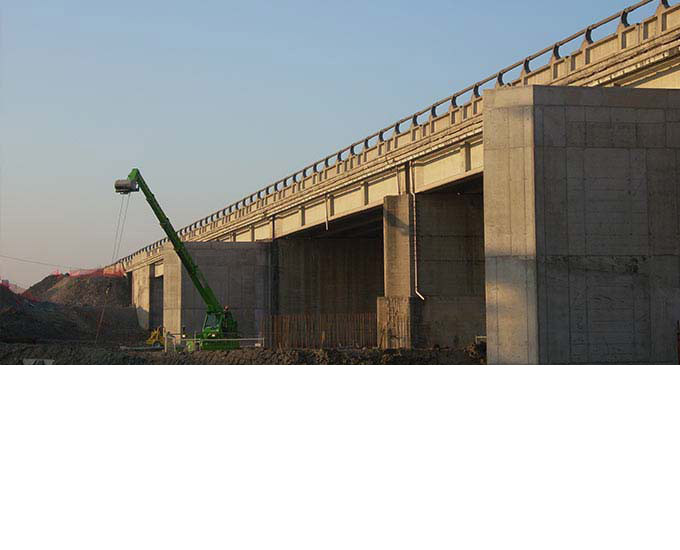 500 m) and the creation of a new viaduct spanning an artificial spillway (Ausa Viaduct). The second variant foresees an upstream reverse curve and the construction of a paved cut-off wall (300 m) to minimise the space occupied in a highly prestigious area.